Philadelphia is among the top destinations in the U.S. As the locals joke, Philadelphia is the city of freedom, lawyers and veal steaks with cheese. The former second capital of America is rich in revolutionary history, culture and symbols, the memory of the image of the country. 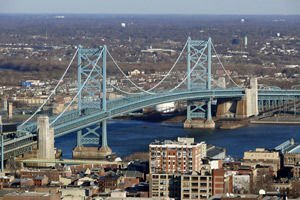 Along with Washington, Boston and New York, Philadelphia is one of the cities along the eastern coast, which must be visited. That is where tourists empathize with important moments of creation and development of the United States. 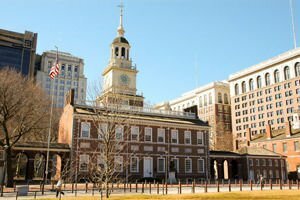 Philadelphia is transformed into an icon of the U.S. - Bell's independence. With her, in 1776 the symbol of freedom is disclosed. The nine foot bell, weighing nearly a ton, now stands proudly before the Pennsylvania state agency that is now called Independence Hall. On this remarkable place, situated in the National Historical Park of Independence, have been debated the Declaration of Independence and the Constitution of the State. Historical relics are not the only thing that attracts millions of tourists to Philadelphia. The colorful modern American city is a rich mix of traditions, races and adventitious immigrant cultures. Philadelphia is home to exciting places to relax and visit. The architecture of the American city is an interesting blend of several styles. The town council is among the most memorable places in Philadelphia. The building is 167 meters high. City Hall in Philadelphia is the second highest stone building in the world after Mole Antonelliana in Turin. Other historical sites in Philadelphia are the houses of the writer Edgar Allan Poe and Betsy Ross. Of interest to tourists are the buildings of the First and Second Bank of America, Gloria Dei Church and Fort Mifflin. The city tells its story through several valuable museums, including that of Benjamin Franklin Museum Mütter, Museum of Archaeology and Anthropology, Museum of History (National Constitution Center), and many others. A place for recreation that visitors can walk is the park to Fairmount - one of the oldest urban parks in America. Another good place is the renovated Franklin Square, where there are conditions for mini golf for the kids, carousels, picnic areas. Longwood Gardens is also very attractive garden center, built in European style. The park has over 11, 000 species of plants. As one might assume so, the downtown or business and commercial part of town is dotted with modern architectural creations of business and administrative buildings, which give an unforgettable image of the American city. Over the years, Philadelphia has earned several nicknames, which are still widely used. Among them are "city of brotherly love" (as in ancient Greek and reading of "Philadelphia") and the popular "Philly". 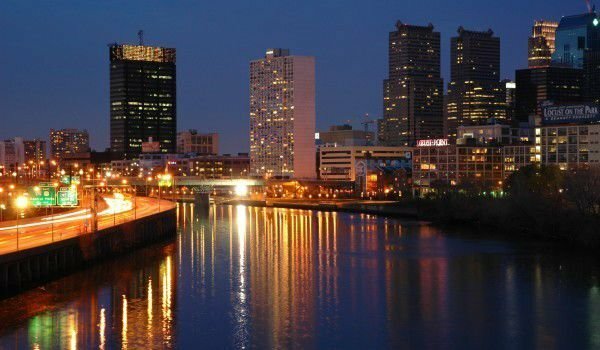 Many locals and tourists are of the opinion that Philadelphia is among the best places in America with regard to culinary culture and traditions. It is the result of fusion of ethnic diversity and rich culinary talent, making Philadelphia the top destination for lovers of delicious temptations. Among the best restaurants in town are Lacroix, Vetri, Le Bec-Fin, Alma de Cuba, and the White Dog Café. Philadelphia is the largest city in Pennsylvania and the fifth largest in the U.S. Its population is about 1.5 million people. Together with the surrounding areas constituting the metropolis, the population of Philadelphia reaches 6.1 million. The city is located only 130 km southwest of another top destination - New York.